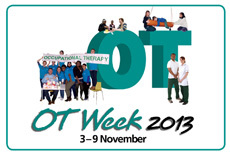 This week is Occupational Therapy week and with this brings a chance to promote our profession and raise awareness of the benefits of Occupational Therapy (OT). As Vocational Rehabilitation lead for our mental health Allied Health Professions (AHP) group I’m choosing to focus on employment. When asked this question it has to be said the first thought that comes to mind is the pay slip that lands on my desk every month. But beyond this is the thought that while I’m here it’s a good feeling to make a difference along the way. And out with work although I inevitably find the question of ‘so what do you do?’ is almost always followed by ‘what’s an occupational therapist? !’ I have to wonder what I would say if I didn’t have this job to talk about. What we do for a living seems like such an important part of our culture I wonder how my clients who don’t work must cope with this question. As Occupational Therapists a person’s identity is core and so clients are asked about their work aspirations as part of initial contact. It is also recognised that Allied Health Professionals play a central role in helping people to return to work and to manage their own health and wellbeing. Within the mental health service work has been done to promote ‘asking the work question’, and with this challenging a perhaps traditional perspective that if people have a mental health condition it is unlikely they will work. However OT and work is not exclusive to mental health. There is work across physical OT being done to promote employment, and encouragingly there is now joint working being completed to consider this agenda as a wider Dumfries and Galloway Allied Health Professions Group, based around delivery of the AHP National Delivery Plan. A development from this has been the promotion of an Allied Health Professions Advisory Fitness for Work Report. This stems from a belief that people do not need to be 100% fit to engage with work, and it is a key goal of Allied Health Professionals to enable people to safely remain in or return to work wherever possible. How did you feel when you woke up this morning about coming to work? I’m sure very few honest people would answer a 10, and so why should we wait for our clients to feel 10/10 before encouraging them back to work? At times however our clients need more than just encouragement to return to work; often they have a number of barriers to cross. This is where AHP’s unique skills of assessing functional difficulties can be used to work alongside the client to come up with solutions that hopefully will enable a return to work. The Fitness for Work Report is now an opportunity to record this information in a formal manner, which in itself can be beneficial and empowering for the client. Over and above this it can also be shared with the GP and a client’s employer. In addition to this report, Occupational Therapist’s can use a range of tools to help clients stay in work, return to work or seek new employment. This work is not always done alone however and often we work with a number of partnership agencies both mainstream and mental-health specific to enable a client to meet their vocational goals. It is also worth mentioning that not all of our client’s want to, or indeed are able to work. I consider myself in a fortunate position within our service that we provide OT vocational input on the grounds that we see the right work as being beneficial to a person’s health and well-being. A lot of our clients currently feel under pressure due to benefit reforms and mandates to attend work-related services. We continue to work with clients that want to move forward because this is a goal related to their recovery. For those client’s who state work is not a priority, we continue to offer interventions for those who identify goals in relation to engaging in meaningful occupations involving their self-care, productivity and leisure. I’ve been reading a lot over the last 2 years; and I don’t just mean about Edward and Bella. 1. There is a lot of it going on, a lot more required! The ‘Words’ that we use every day and perhaps don’t particularly think too much about. Let’s take the word ‘Evidence’ first. It can mean many different things and we hear it widely used in the media and in social contexts, ‘The evidence was the gun was in their hand’; ‘the evidence is that you have not met your Political Party Agenda’; here it is demonstrating that something happened, or didn’t happen for that matter. Similarly I have been thinking a lot about this use in the context of Nursing. We often talk about ‘if it wasn’t written it wasn’t done’ , interpreted to mean that if we didn’t write down and ‘evidence’ that care was given, we find it difficult to argue that it was. I believe we need to move away from this statement a little, or at least be considering how we provide ‘evidence’, but in a more efficient manner than we currently do. Let’s face it something must be wrong if writing about the care we give takes longer that giving the care – a U turn is required here I would say! Then we have the term ‘Evidence Based Practice’. Used frequently in the context of Nursing since the early 1990’s (following hot on the heels of our Medical colleagues shift to Evidence Based Medicine. It can be used in defence of the care that we gave, or as justification for a particular local and preferred process we are going to use. That in itself I see as a good thing, surely we can’t argue with the concept, but what is the ‘Evidence’ that we refer to, thinking about it as something we can see isn’t particularly helpful. In thinking about that I would ask that you now consider the meaning of two more words. 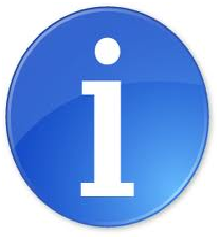 Information: What is Information? Have you ever thought about this before? I think it’s difficult, particularly when you try to interpret a difference between what is ‘Information’ and what is ‘Knowledge.’ Here is what I have decided for myself, but you can make your own mind up. Information is non interpreted facts, raw data i.e. 159 patients attended A&E last Monday; there will be a 1% payrise given to public sector staff; The North West Castle Hotel is situated in Stranraer. What it isn’t saying is ‘Why’ this is the case. So what is the difference between that and Knowledge? What is Knowledge? Don’t worry about looking this up unless you really feel the need – it is so widely contested you will be reading longer than it took me to read the Twilight Saga and the True Blood series combined! What I would like you to do is think about my definition, I do get to a point later, honest. ‘Knowledge is a strong belief, which can be justified as true’. (Me! 2013). That’s it. Odd definition to come to? Maybe, but maybe not, Let me explain. The ancient Greeks believe that facts can only become knowledge when someone believes them to be true (information is non interpreted facts, remember what I said above?). Further to this though the facts need to be interpreted and justified. It is in this that the person reading them and believing them to be true becomes a ‘knower’ of this information. They can then claim to have this knowledge, BUT they must then be able to justify why they believe the information to be true. Knowledge is constructed from the information we have at our disposal. A good example of this is that the Earth for a long time was ‘known’ to be flat! 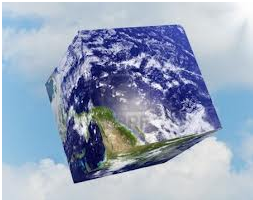 New information, which was interpreted and justified was brought to light, people believed it and in the main we now ‘‘know’ that the earth is round. This kind of scientific evidence is always open to disproof though! There are of course other ways of gaining Knowledge, other than from scientific papers and written information. Think about this one a bit more the next time you can’t explain why you want to give care in a particular way and the ‘evidence’ for it is not in front of you in an Evidence Based Practice Paper, Journal, etc You just want to scream ‘because I just KNOW , ok!’ . Well you’re right, you probably do. You are gaining knowledge in healthcare all the time, the more care you give, the more you interpret individual patients responses to care and begin to believe and ‘know’ that a care method might work with an individual patient. This is Tacit Knowledge – very important, as nurses we have more or less of it depending on experiences and I would strongly encourage it’s use, remember though to ‘know’, you must also be able to justify! So after all that, I need to explain why all these words have something, anything to do with Active Patient Care. Here’s what I want you to ask yourself now. 1. Do you believe that as nurses or healthcare providers we should continually gather information about how a patient is responding to our fundamental nursing care? 2. Do you think that with the patient we should interpret that data, justifying it, agreeing it to be correct? 3. Do you agree that you will then have knowledge of the patients’ response to fundamental care? 4. With that acquired Knowledge and your previous Tacit Knowledge, do you believe you will be better placed to assist the patient to further plan more care interventions to improve their health and prevent avoidable incidents, such as Falls, Dehydration, Pressure Ulcers? I believe the answer to all of the above is ‘yes’. That answers why all of the above has everything to do with Active Patient Care. You see, Active Patient Care arises from what I believe are the core values and beliefs shared by nurses. As a nurse I believe in The Nursing Process; I believe that no patient should come to harm in our care; I believe that we should always aim for the best possible outcome for and with our patients. We can only do this well if we have easily captured information, which we interpret, know what it means, learn from and use to further plan and implement care with our patients – in this sense it is ‘Evidence’ Based, Patient Centred Practice. For any nurse that answered ‘No’ to any of the above, I would be more than happy to further discuss and debate with you! 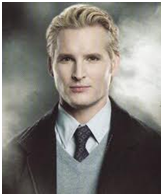 By the way, if Dr Carlisle Cullen applies to work at NHS D&G, I’d be more than happy to show him round Galloway! Active Patient Care is NHS Dumfries and Galloway’s agreed method of planning, implementing, documenting, assessing and evaluating in patient’s fundamental nursing care. It incorporates both the SKINN Bundle and the basics of Intentional Rounding, but, with the added consideration that it is patient centred, holistic and pro active in its approach. It is planned methodically using the nursing process in order that patients receive care at regular intervals, which are agreed with them and are appropriate to meet their needs without them having to ask for care. This, rather than the standard used with Intentional Rounding, that every patient is seen ever hour but with questionable value to the patient.